Is knowledge power? Yes, in at least two ways. If someone can control the information you are getting, and/or feeding you titillating distractions for your attention, then your ability to function in reality (according to more information) is being restricted by others. 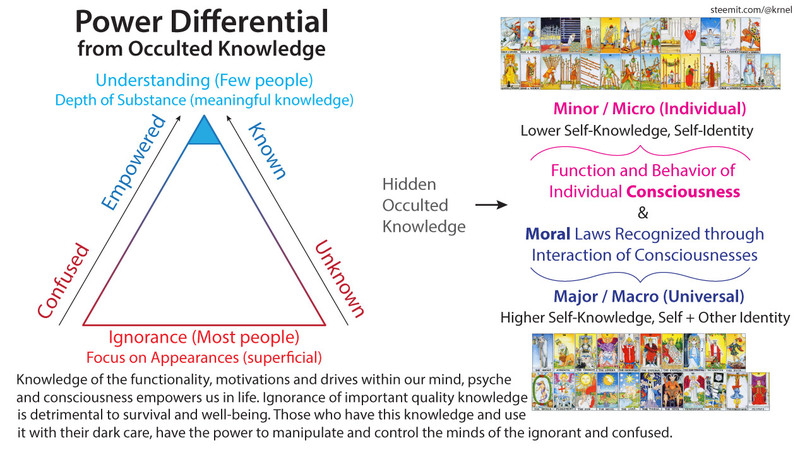 There is a power differential from hiding, occulting and encrypting knowledge. Intelligentsia specialize in that, and so too do secret societies that have been around for who knows how long. The foundation for everything is based on truth. The more truth we have in common, the stronger the bond, because it it based in reality, what ‘is’, and not on a semblance of reality based on ignoring or denying the truth we don’t want to face. Not convinced of how important truth is? Think about someone lying to you, being dishonest, or betraying you. How important is that in your life? Truth is the foundation for everything. If truth didn’t matter, trust in others and loyalty towards others wouldn’t be broken by betrayal, dishonesty, lying, etc. These are subconscious axiomatic intuitive non-reflective understandings we operate by in life, but it can be consciously recognized and seen. Truth is at the foundation of everything. Truth is a synonym for reality or existence. Truth is the most important thing in all our lives, and we ignore its importance. We don’t seek it out to learn more, but are just passively stumbling into it through life and not actively engaging in seeking it out. Why speak truth? It’s important to get on the same page of understanding with others. Also, speaking truth and being recognized as someone who does speak truth, who is honest, establishes confidence in your character and in your word. This will create a reputation of an honest person, that you’re not a deceiver or liar. This is important in life for our social and cooperative living together. If you lie to someone, they will recognize that you’re not representing reality honestly to them. This does not engender trust, faith, loyalty or belief in another person. If you were to keep lying to someone, they would likely stop interacting with you if they were sane and cared about reality more than their attachment to a bullshitter who lies to them all the time. People don’t like being lied to. That simple fact demonstrates the supreme importance of truth that most people don’t even consciously recognize with their awareness. We go through life in a subconscious recognition of stumbling around trying to find truth, but few actively care and seek out truth to a higher degree. If people are lied to, they will go elsewhere to get away from the liar. Think of the mainstream media and how they are fooling people low quality, unimportant, insignificant information. Many people want to know what is really happening, and they know they are being kept from more important information, and some people know they are being outright lied to by the mainstream media. This is even being shown with Trump denying the fake mainstream media news stories about Russia and hacking. People want to know the truth deep down inside, because it is the foundation for reality and for our understanding of reality. Truth is reality and existence. People will go get the truth somewhere else if they’re not getting it from the mainstream media. The media gets caught lying, yet they keep treating people like fools to be manipulated. Eventually some people get tired of the lies and deception, and find the alternative media and alternative press. The free press and media are now under attack through the fake mainstream media’s claims that fake news is a problem outside of the mainstream media, when in actuality the mainstream media invented fake news. There is a real market for truth once you realize this deep and real need for truth in people’s lives, even if they don’t realize it at a conscious level themselves. Many people are not very self-actualized and self-realized individuals with self-knowledge. 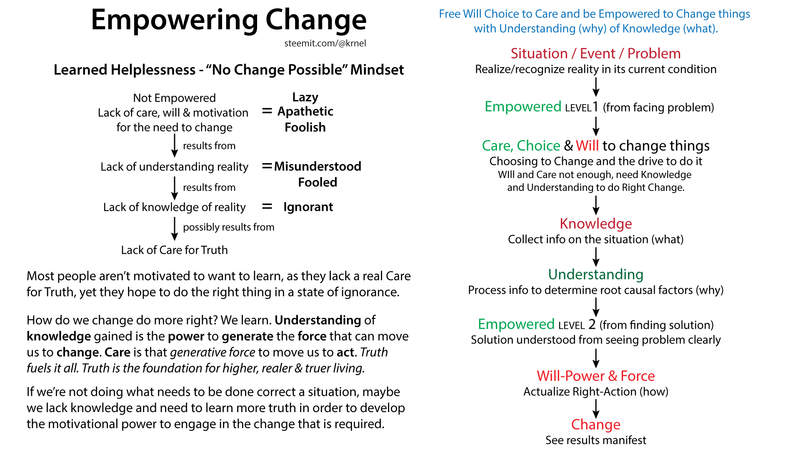 This is why it’s important for them to understand the importance of truth and the need to learn, because they lack self-knowledge to be able to empower themselves in their lives more fully. Once more people realize the foundational root causal importance of truth in our lives, then truth will become the most valuable content in the world. This is how I have valued truth in my life since I have made the shift to recognizing its importance many years ago. Truth, and more specifically moral truth, is the real capital in our lives. The real capital, the real most important and chief value to give something that determines the quality and condition of our lives, is based on truth and morality. The deeper, higher quality, more hard hitting, more meaningful, more life changing, more empowering psychological and philosophical truth will be the top knowledge in our lives once we get to that point of self-realization and self-actualization towards a care for truth and morality. Making TRUTH into a memetic mind-virus by getting people to care for and seek truth, and to understand the supreme importance of truth in our lives, will empower people to empower themselves and that will change the whole world!!! Who is with me? Let’s revamp TRUTH and make it popular in everyone’s consciousness! Post information that will help people learn about the problems around us, so that they can then understand they need to learn more to be able to find and apply a solution with everyone else working on the same goal.